Who will be Steelers’ starting RB? 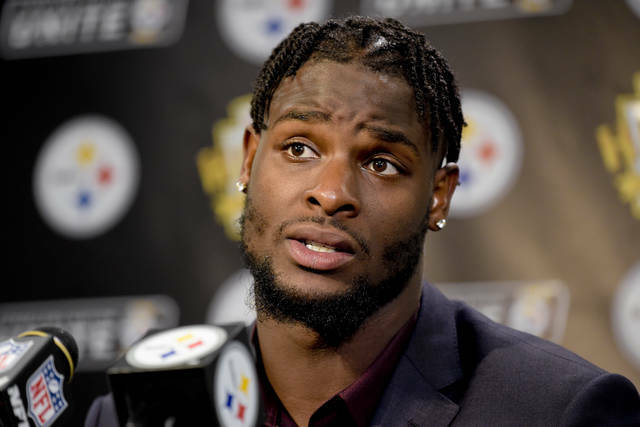 PITTSBURGH (AP) — Mike Tomlin doesn’t know when Le’Veon Bell is going to show up for work. The gaming industry is big business in the U.S., contributing an estimated US $240 billion to the economy each year, while generating $38 billion in tax revenues and supporting 17 million jobs. ‘Savvy slot machine players’ sounds like a funny term to me. More astute gamblers may recognize the different payout odds, but at the end of the day slot machines are pure chance. No amount of savvy can change that fact. Very similar to local lottery tickets. In my state the break even odds of a state lottery ticket is one in six. Savvy players may think they have a system to win, but once again at the end of the day only one in six will break even. What I don’t understand is the disconnect of these types of gamblers. Most know they will lose money over time, but continue to hold hope anyway. Some say it is for the entertainment only, but they still hope to win big. If there were no large jackpots they wouldn’t play – so the entertainment tact sounds incorrect to me. Is it just that Humans like video displays, bells and whistles so much? Why isn’t a game like Blackjack more popular? If you know statistics fairly well your odds of a break-even are about 99%. That sounds like much more entertainment to me than just knowing that you are feeding a cash hungry machine. Columbus, OH (September 5, 2018) – An in-depth study by Better Business Bureau finds that, while consumers may write fewer checks in this era of electronic financial transactions, fake check scams are on the rise. Fake checks are used in a variety of frauds, from employment scams to prize and sweepstakes fraud. In all cases, victims deposit the check and send money back to scammers. BBB warns consumers to be on guard against these serious and pervasive frauds and their perpetrators. The investigative study “Don’t Cash That Check: Better Business Bureau Study Shows How Fake Check Scams Bait Consumers” looks at how fake checks dupe consumers. It digs into the scope of the problem, who is behind it, and the need for law enforcement and consumer education to address the issue. Cashier’s checks and postal money orders can be forged. A cashier’s check is a check guaranteed by a bank, drawn on the bank’s own funds and signed by a cashier. If a person deposits a cashier’s check, the person’s bank must credit the account by the next day. The same holds true for postal money orders. Scammers use cashier’s checks and postal money orders because many people don’t realize they can be forged. Fraud employing fake checks is rapidly growing and costing billions of dollars. Fake checks were involved in 7% of all complaints filed with BBB’s Scam Tracker. The number of complaints received by the Federal Trade Commission’s Consumer Sentinel database and the Internet Fraud Complaint Center more than doubled between 2014 and 2017. Based on complaint data trends, the study suggests that there may be over 500,000 victims of counterfeit checks in 2017.